Aymar de Lencquesaing, Acer’s senior corporate VP, detailed a lot of great info about future devices coming within the next year from Acer. The highlight of this interview: Acer’s intentions to bring devices into the market that will run on WP7 OS. 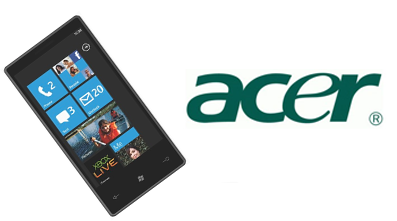 The earliest Acer WP7 device is said to be released in Autumn of this year according to Lencquesaing. It seems only one device release is speculated for this year, however, Lencquesaing continues saying that the indicated number of WP7 devices will rise in 2012. The Acer portfolio is set to be evenly spread in the market and will produce mid to high end products (as opposed to entry level). Acer is determined to grow as a company through variety and availability on all platforms. “The only question is how fast we can grow and stack up against the competition,” says Aymar de Lencquesaing to end the interview.